This year I've been working one-on-one lesson planning, support and reflection with teachers in our 1:1 pilot. Our goal is to increase their capacity and get students creating and publishing using the devices. 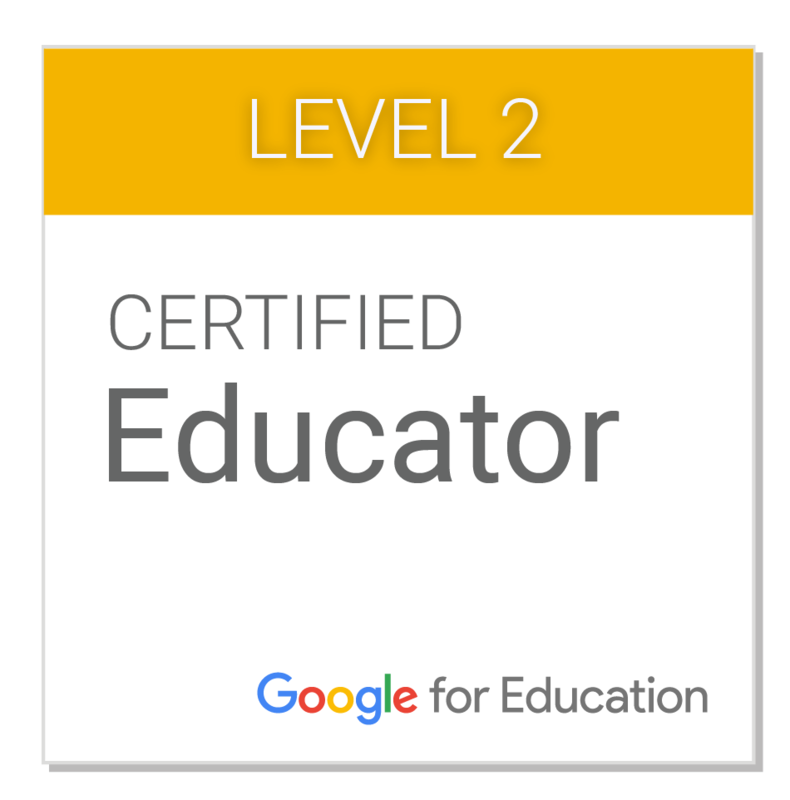 However, I also have a secondary goal of getting all teachers in our district more aware of what they can do with technology. We know that if the teacher isn't comfortable using tech, the research says it's highly unlikely to end up in the hands of students (which is, of course, our ultimate goal). 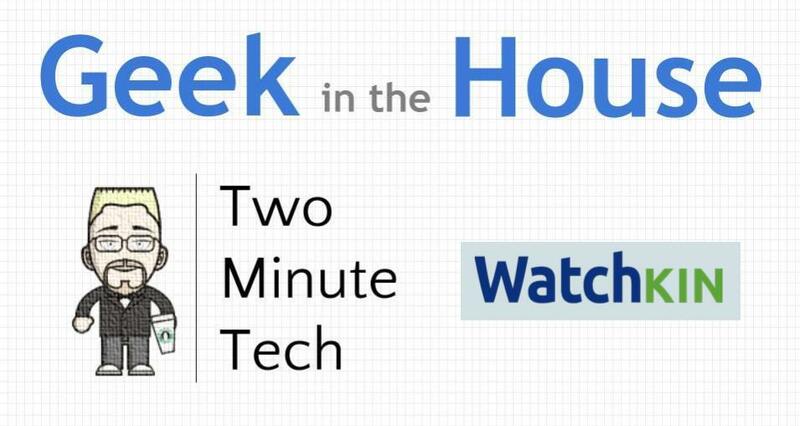 So I'm creating "Two Minute Tech" videos that teachers can view at their leisure. These screencasts focus on quick and easy "wins" for folks who could use some simple tools for their digital toolbox. This week, we'll take a look at Watchkin, the quick and easy way to clean up YouTube so you can use video safely with your students. As I work on wrapping up my master's degree, I have a class this semester that lasts for three hours, on a weeknight, and it gets out at 10:00 p.m. This is unfortunate. On the bright side, this course gives me plenty of time to think and reflect (and write this post), because I'm able to sit in the back and only tune in when my professor moves to the next slide in his PowerPoint. Being allowed to sit through this extraordinary learning opportunity (#snark), I find myself thinking back on my time in the classroom. And I'm not all that pleased with what I see. When I taught, too many days I just stood and delivered (in a non-Jaime Escalante kind of way), thinking that my students were engaged with what I was saying simply because I was saying it. I had an over inflated sense of how important I was in my own classroom. I thought I was the center of the universe. In retrospect, I'm lucky my students learned anything at all. They were compliant, fighting through the haze like the one I'm in right now. It's the fogginess that sets in when you know the authority in control of your situation is in love with the sound of their own voice. And once you figure out that the person who's talking isn't stopping, there's not much of a reason to stay mentally present. Moving backwards on my own personal timeline is impossible, so I can't do anything about the past. But I can take a look at the people I coach now and consider the way I work with them. Basically, I need to shut up more. 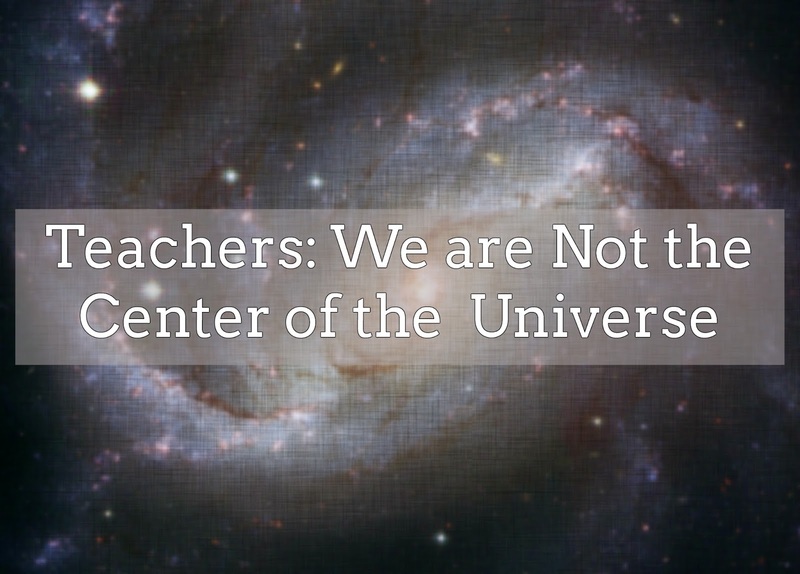 I am the center of my own universe, not anyone else's. Learning, regardless of your age, is only as important to you as it has relevance to your life. And since I can't possibly know what's relevant to every person I'm training, the only way I can find that out is to be quiet and listen, then try to connect. People have to engage with ideas and figure out what it means in their situation. That's because most of us are only interested in knowledge as it relates to us and our world. The research tells us that adults approach professional development with a problem-solving mentality: if you can't show them how it meets a need, they won't engage with it, and they haven't learned. They've sat. They've done what I'm doing right now in this class. So I'm training a group of administrators in the morning, and I hope I can remember this eyes-glazing-over, motivation-sapping feeling I have right now if I start to talk too much. I think it'll keep me in check. Because if I really want people to learn, I have to teach with the understanding that everyone thinks that the planets orbit around them. The question is simply this: am I willing to give up being the center of my universe to try and understand theirs for a bit? If so, this teaching thing just might work out for me. No one in education has enough time do everything they need to do. This includes chasing a mouse hundreds of times a day. 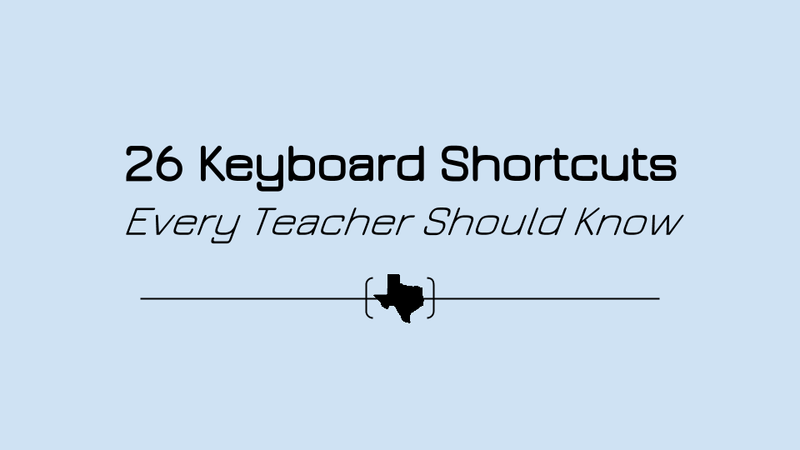 So in the interest of saving time and sanity, here are the 26 keyboard shortcuts I use pretty much every day, including the one to simplify that time-sucking process I just mentioned. They are entirely self-selected and grounded in the tools I use to run my digital life. Pick a few that impact the tasks you do every day, and you may just start to find yourself with a few extra minutes left at the end of your conference period. And for a teacher, a few minutes is enough time to eat a sandwich, make 50 sets of collated copies, and take a restroom break. Now, doesn't that sound nice? You're welcome. Want a copy of your very own? 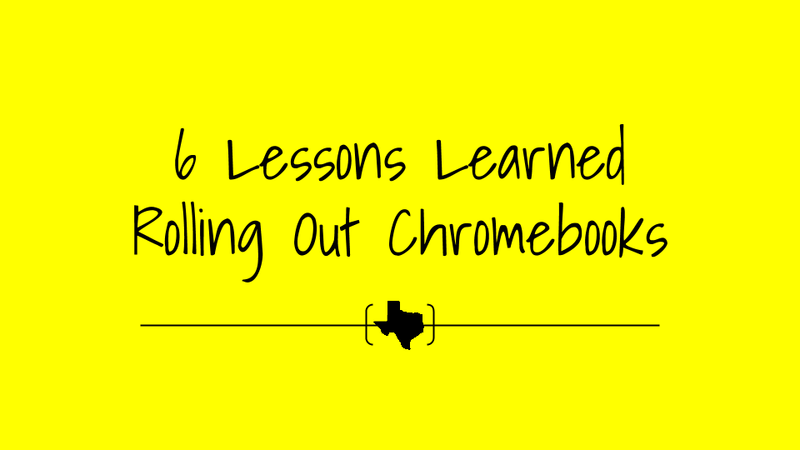 This last week has been the focus of my last 5 months: finally, students are going to start using Chromebooks in the classroom. As part of our 1:1 pilot, the fully stocked carts are in fourteen classrooms across our districts' seven elementary schools, and will be used by about 900 students this year. I spent Labor Day thinking about the next day, but Tuesday didn't start out looking pretty: I woke up to an early morning, district-wide email saying that we had experienced a massive outage in our main server room and certain services were still down, including the wireless. Turns out the A/C had gone out in our network operations hub and we had managed to reach about 140 degrees. Thankfully, the heat of Hades didn't take everything down, but the WiFi was victimized by the inferno. After giving myself texting thumb, we determined that the wireless was kind of up, but since they were continuing to work on it, there were no guarantees about it's stability for that day. With that in mind, we let our pilot teachers know that they should push back a day, so Wednesday ended up being our launch day. So from Wednesday to Friday, here are the six lessons I learned about rolling out a whole bunch of Chromebooks with a whole bunch of kids. We're working on setting up the sync between Active Directory and Google Apps. Until that's up and running, we just did a mass creation of student accounts using CSV files pulled from our student information system. Google has a limit on creating 500 users at a time, but the company we've been working with has a script they use to do mass uploads with no user limit. There was only one problem: somehow in the upload process, 610 students were left out (to be specific, row 2594 to row 3204 in our spreadsheet). The only way we found it was because one of our teachers decided to brave the WiFi chaos and try rolling out on Tuesday anyway. It was her campus that had been missed, so none of her students had accounts. To the credit of our vendor, when I called them they fixed it quickly. Then they re-verified all the created accounts against what we had originally given them to make sure every student could log in the next day. All's well that ends well, but the moral of the story? Download a report from GAFE and verify your accounts before day one. Have a support person at every campus. We planned a staggered rollout with different campuses logging in on different days throughout the week. Even though our initial schedule was messed up by melted servers, we were still able to work it to where we had someone on hand to help every teacher who was logging in for the first time. In some classrooms we modeled the process and then turned it over to the teachers. In other places, we were just support as the teacher led their class through the process. Whatever they felt comfortable doing, that's what we did with them. Doing it this way made sure that no teacher was derailed by technical issues, and they knew they had someone to ask help if something went wrong. It always nice to know there's someone there with you when you're trying something new. Determine your password naming convention before you start. Our initial student log-ins are set to force a password change. That means this next part should be just common sense: figure out what students are going to change their passwords to the first time they sign-in. Nope. Not to this guy. Apparently I wasn't picturing actual 4th and 5th graders in my mind, because I thought we could just have the kids choose their own password. Ha! I laugh in the face of my naivete. Let's just say it was a mess. I'm not going to share our password convention here (for obvious reasons), but we established one that included all the requisite symbols, capitals, and numbers, but was still unique to each student that only they would know. It was much smoother once we got that established, but it could have been avoided if I'd been more realistic about the kind of structure we needed for our students. Be prepared for the Captcha. I had done countless test log-ins with student accounts so I knew what to prepare my teachers for. But we learned that the first time you try to sign-in en masse, Google thinks that your system is being attacked by bots. To counteract this, every student starts to get the most impossible-to-decipher Captcha I have ever seen and must enter it correctly. This never happened in the tests! I understand the need for security, but at the same time, there has to be a balance. Google, if I call and tell you that there's going to be a sudden surge in traffic on my domain (which I did), can you not find a way to turn this off? It brought the entire log-in process to a grinding halt as students (and teachers) squinted at wavy letters, took their best guesses, and then were told they were wrong and had to try again. What does this mean for you? If you're logging in a bunch of students, the Captcha is going to happen. At the secondary level it's probably not that big of a deal, but with elementary schoolers, you may want to have a paraprofessional or aide on hand to help students decrypt the incomprehensible proof-of-humanity letters. Learn from your elementary school teachers. One of the incredible strengths of our elementary teachers is their ability to manage small groups. 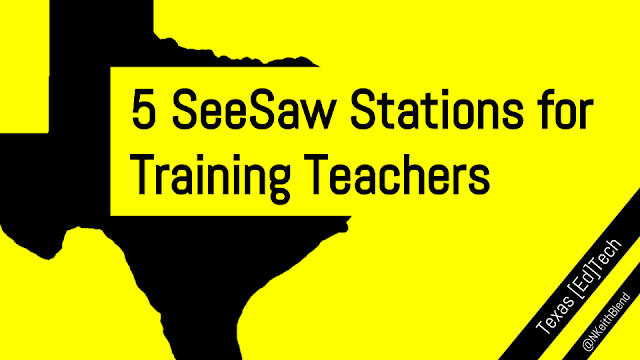 They create them, pull them, design differentiated stations, and monitor multiple activities at a time. This should have played into our rollout plan from the beginning. We tried logging in the first few classes as a whole group. While that worked, it wasn't the most efficient. If one or two kids get stuck, pretty much everybody's stuck. I'm incredibly thankful for our resourceful teachers who scrapped that idea and started pulling groups of 4-5 back to their teacher table. There, they could work with a manageable cohort, make sure they could log-in, then rotated to the next group of students. This is the way we should have planned to do it from the beginning and definitely what I'd recommend for anyone doing the same thing, regardless of grade level. Whole group: no. Small group: yes. It's okay to tear up when the kids get excited. I am not an emotional guy. I also know that using technology in class shouldn't be an event. And we're working towards that. But at first, it is an event. And that's okay. So to see students get crazy excited about the device, the touch screen, their own username, their own profile picture...you realize that this is the only way many of them will get to use technology as something other than a consumer or a gamer. Many of them don't have a computer at home, so this is their only window to a world outside what they see day in and day out. And we also know from the research that there is a serious slide that starts in the demographic we serve around 4th grade. Many of our students, especially boys, start to disengage with school around that time. But I saw lights come on in eyes this week, and I think some of them started to consider that school just might be relevant to them again. I hope so, anyway. So, yes, my eyes glistened (a couple of times, actually) as I watched kids get excited about the new tool they're getting to use in school this year that's going to help them learn the way they live. This is only the beginning, and there's a long way to go. Now we start teaching with the devices and not just being impressed by them. I want to see these Chromebooks in the same category as paper-and-pencil: tools we use seamlessly and can't imagine life without. Students should be making, creating, researching, practicing, and learning at the level that is perfectly appropriate to them, because that's what 1:1 allows us to do. But for now, I will bask in the fact that they can log in, the wireless works, and week one is in the books. The Google folks have been very active lately, including a complete (and much needed) redesign of Forms, the classroom data-collection workhorse. In case you're wondering where everything has gone in the new Forms, now you can try it out in Small Bytes. Google Classroom is Google Drive management dressed in beautiful simplicity. Clean and straightforward, it's exceptionally intuitive in its workflow, and is the perfect hub for any digitally oriented classroom. If you'd like to read more about the new features in Classroom, Alice Keeler has an excellent summary of them, as well as some more detailed opinions on always unchecking a certain box in Classroom (you'll have to read here to find out which one...). If you want to see the features in action, please enjoy the latest edition of Small Bytes.